Liberty Tabletop is excited to offer our newest addition to the Made in USA flatware family! Woodstock is a unique and creative pattern that is bound to take you back to a groovier time. Let peace, love and music rock your dinner table today! 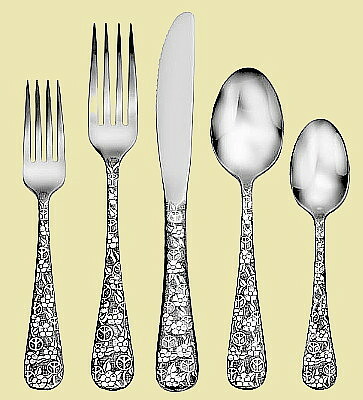 Add some flower power to your home with Woodstock flatware!